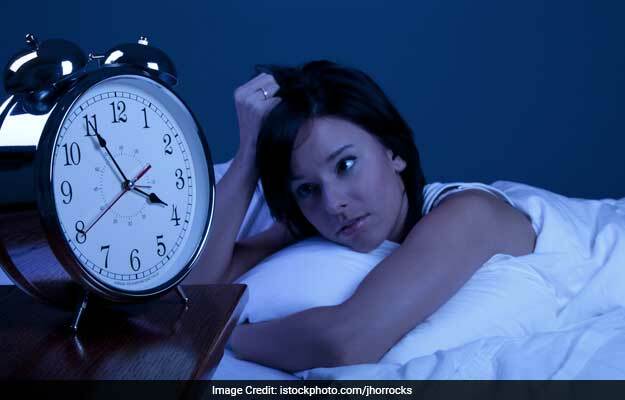 The study was published in the journal Scientific Reports and revealed that fragmented and disrupted sleep may lead to acute balance deficit. Sleep deprivation or disrupted sleep may hinder your ability to control posture and balance. A recent study suggests that even a single bad night's sleep could decrease your chances of controlling posture, which in turn may increase risk of fall. The study was published in the journal Scientific Reports and revealed that fragmented and disrupted sleep may lead to acute balance deficit. For the study that was conducted at the University of Warwick, a group of healthy adults underwent sleep and balance assessment over two consecutive days. The scientists tried to determine the links between day-to-day variations in sleep quality and balance. Researchers also used state-of-the-art wearable sensors for in-home sleep monitoring and balance testing. Scientists said that the findings call for designing prevention programs in populations and settings where normal sleep is frequently disrupted, such as older people and hospital wards. Dr Leandro Pecchia, team leader of the research, said: "We all have direct experience of this. When we do not sleep well, we may feel a little dizzy and our capability to control our posture and balance is somehow diminished. When we are fit and in good health, our body is able to adapt and we develop a strategy to keep our balance, avoiding falls and incidents. This ability is reduced with ageing or when there are other concomitant conditions that may compromise our ability to adapt." Prof Francesco Cappuccio, explained: "The results obtained in healthy normal volunteers are surprising, given the ability at younger ages to compensate for such acute and short-lived sleep disruptions. We would expect more dramatic effects when these experiments be replicated in older people, whose vulnerability to sleep disruption, postural hypotension and risk of falls is much greater". Your dietary preferences may also play a crucial role in your sleep habits. Oily, greasy foods or eating very sugary foods too close to sleep time are known to hinder sleep. On the other hand, foods rich with tryptophan are known to promote sleep. Foods enriched with magnesium are of great help too. 1. Warm Milk: Milk contains tryptophan, an amino acid that converts into serotonin. Serotonin is known to have soothing effects in the brain. When your brain is relaxed, you are able to sleep well. 2. Cherries: Cherries contain melatonin, a hormone produced by the pineal gland that regulates our sleep-wake cycle. Eating about 10-12 cherries a day could help restore your precious sleep. 3. Bananas: Bananas are packed with good carbs, magnesium and muscle relaxing potassium, all of which help induce sleep naturally. You can have it raw, or blend them in shakes and smoothies. 4. Oats: Oats are filled with sleep-inducing melatonin that will help you wind down in no time. You can spruce up your oatmeal with fresh berries for an added punch. 5. Almonds: Almonds contain tryptophan that has soothing effects on brain and nerves. They also have good dose of magnesium which is helpful in keeping your heart's rhythm steady. Eat these foods and catch up on your much precious sleep.